The latest innovation from Rios Clementi Hale Studios, Guillermo introduces a new generation to the versatility of the storied guayabera shirt. Guillermo is a modern guayabera. Designed to be worn untucked, it is the ultimate performance shirt for an active professional lifestyle. Its pockets store your essentials and its zippered vents evolve with you throughout the day. This is a shirt that harnesses creative energy. Our shirts pare traditional vertical pleats to pure geometry, concealing details that prioritize comfort without bulk. Guillermo is a guayabera redux with flexibility and verve. The secret message concealed within each shirt — “La Paz Sea Contigo”, meaning Peace Be With You, draws inspiration from graphic artist and nun, Sister Corita. Clean lines conceal zippers and vents so that function and form stand out and comfort remains priority. Guillermo’s pockets store your modern essentials and its zippered vents evolve with you throughout the day. This is a shirt that harnesses creative energy. The guayabera’s origin remains a mystery, though it remains an iconic staple in Latin life. The adjustable vents enabled range of motion and kept men cool in the blazing sun while long-sleeved versions substituted for jackets in equatorial climates. Traditionally, the shirt’s four large patch-pockets toted lunches, cigars, and other essentials. It’s dual legacy as both a practical work shirt and timeless dress shirt makes the garment dynamic enough to wear to a meeting, happy hour, and elegant dinner all in one day. Guillermo Rios hailed from a long line of Mexican rancheros. Trading his youth on horseback for a career as a surgeon, Guillermo’s uniform of choice at work, on Sundays, and for family fiestas was a guayabera. A man of profound cultural curiosity, who spoke five languages, traveled often and valued everyone, Guillermo Rios celebrated the guayabera’s rich Chicano heritage just as he danced in celebration of life. To his son Mark Rios, his father passed along an inquisitive nature and appreciation for tradition that would influence Mark’s perception of his multicultural hometown of Los Angeles. Guillermo began with a conceptual launch marking Rios Clementi Hale Studios’ 2017 move to multicultural Liemert Park. 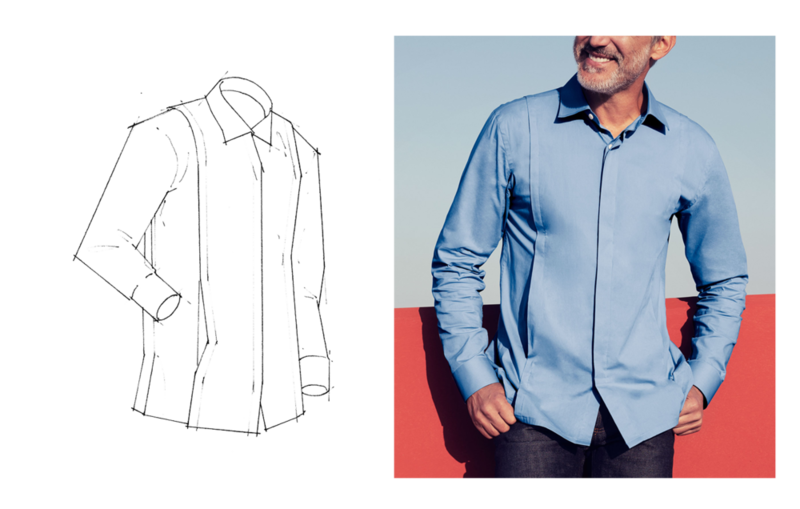 Through an open dialogue with industry talents, including the line’s Creative Director Carl Louisville, the Guillermo guayabera shirt was refined in every detail — from fit to fabric. In honor of Guillermo Rios and of the guayabera’s inclusive ideology, emblematic of the Rios Clementi Hale Studios’ ethos, we’ve modernized a classic in shaping the Guillermo brand. This is a shirt collection for everybody. In its form, function and flair, Guillermo prides itself on preserving playfulness and poise, authenticity, and ingenuity.